Peake Chrysler Jeep Dodge Ram Fiat is now offering Farmers Insurance for drivers in Sodus, Webster, and Wayne County. That means when you purchase a vehicle from us, you can sign up for a car insurance plan right at our dealership in Sodus. 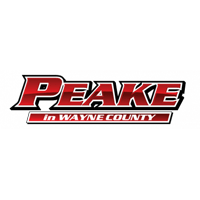 Whether you’re shopping for your first car or tenth with us, Peake Chrysler Jeep Dodge Ram is committed to helping you find a Farmers Insurance plan that you feel good about. Liability Coverage: This will cover you if you are legally responsible for the damages that occurred. Collision Coverage: If you happen to hit another vehicle or a fixed object on the road, collision coverage will take care of it. Comprehensive Coverage: If you find yourself in a situation other than an accident, such as theft, animal collision or fire, comprehensive coverage will cover your losses. Medical Coverage: If you get injured during an accident, medical coverage can pay for all or most of your expenses. Personal Injury Protection: Similar to medical coverage, however this will cover a broader range of costs that include loss of work, funeral costs, and rehabilitation expenses. The vehicle you drive: If your car was a total loss after a collision, could you afford to replace it? If you finance or lease a vehicle, comprehensive and collision coverage is required. If you drive an older car, you can reduce these coverage’s. How much and when you drive: There are many bad drivers or uninsured and under-insured motorists on the road. That means that even if you’re a good driver, you could increase the risk of involvement in a collision the more time you spend driving. Who rides in the car with you: Do you carpool to basketball practice or take your kids and their friends on field trips? If the answer is yes, you must consider the liability impact. The value of your assets: Could you be financially vulnerable if you are sued after a collision? Liability insurance should be enough to protect the value of your assets. If you need Farmers Auto Insurance, Peake Chrysler Dodge Jeep Ram Fiat has you covered. Drivers near Sodus, Webster, and Wayne County can learn more about our Farmers Auto Insurance offerings by contacting us online, or by calling (877) 270-4862.